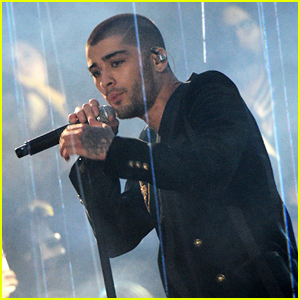 Zayn Malik Gives First Solo Awards Show Performance for iHeartRadio! (Video) | 2016 iHeartRadio Music Awards, iHeartRadio Music Awards, Zayn Malik | Just Jared Jr.
Zayn Malik sings his heart out while performing “Like I Would” on stage at the 2016 iHeartRadio Music Awards held at The Forum on Sunday (April 3) in Inglewood, Calif. 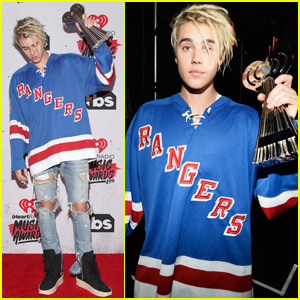 The 23-year-old singer gave his first solo performance at an awards show! As Zayn just released his new album the other day, he was not nominated for any awards this year. He does have something to celebrate though as Mind of Mine just debuted at number one on the Billboard 200 chart! FYI: Zayn wore a John Hardy ring. DNCE Rocks Out for Performance at iHeartRadio Music Awards 2016 - Watch Now! 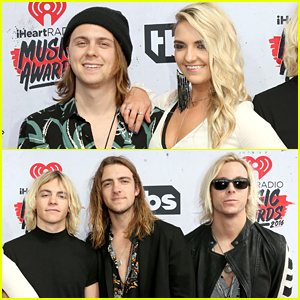 R5 Hit The iHeartRadio Music Awards 2016 - See All The Pics! Meghan Trainor Sings Her Hit Song 'No' at iHeartRadio Awards - Watch Now!